Cold wind and wet clothes. Icy roads and melting snow. That’s what it’s like right now. However, as I stare out the window my imagination is taking me back to a world where snow is artificial and cold winds the result of frigid air-conditioning. A world where the tarmac is hot and my clothes still wet, but mostly because the Ferrari’s A/C is no match for the searing desert sun. That, and I might have a hard time relaxing in a car that’s worth almost half a million euros back at home. Luckily, Dennis, my passenger for the day, was kind enough to put his credit card on the line. Still, there are 670 horses powering the back wheels, roughly 600 more than the Volkswagen Karmann Ghia I had driven the week before. I can remember it all so clearly. 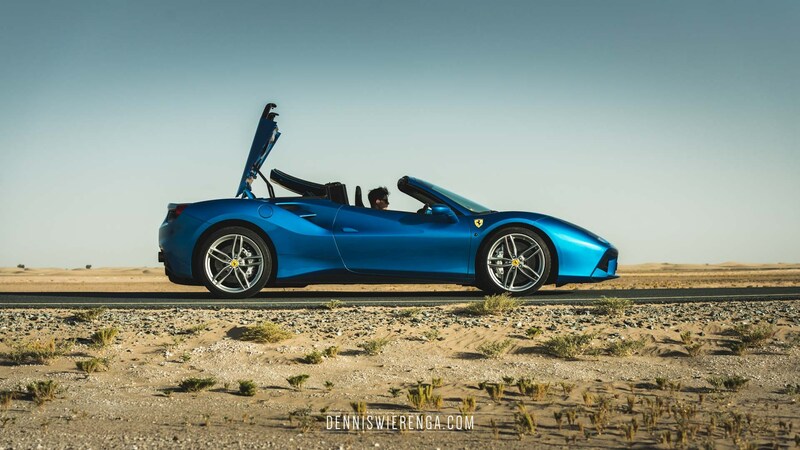 The electric blue paint job, used by Ferrari to highlight that the car is unlike anything they’ve ever made. The low bucket seats. Black leather. The drive mode switch on the steering wheel, which we’re specifically instructed not to touch. The sensation of hearing the engine behind us. The heavier-than-usual feel when turning this wonderful piece of machinery and then there’s this strange sensation knowing that you could outrun 99% of the cars in front of you. I say 99% because we’re in Dubai after all. My first proper experience in a rear wheel drive sports car. My first experience sitting in a Ferrari and my first time driving one. I’m not going to lie, I was nervous about taking the car out in heavy traffic. Rush hour over there is chaotic at best, but I didn’t have to worry. Space was given, generously. The best memory to me will always be our drive back to the city. We had taken the car out for a drive in the desert and the sun was just about to go down over the horizon. The roof down, the radio off. We accelerated towards the majestic city skyline with the stars above us and that calming engine noise coming from the back. For a moment it felt like we were in a movie and at that moment everything felt right. No worries, no thoughts, no stress. There was a certain sense of awe and it somehow had a wonderfully calming effect on me. At the same time, I knew that just one downshift, just one push on the pedal, could tear us right out that state and send us into a blur. It was perfect. Even though I consider myself to be a petrolhead or car enthusiast, I was never really attracted to Ferrari and unlike many boys and men, I never had the desire to drive one. That’s not because I thought it’s one of those dreams that’s beyond reach, but more because I always considered it a brand for playboys and showoffs. The kind of car one would drive to emphasize the size of one’s wallet and perhaps to compensate for the size of something else. But I was wrong, partially at least, because I can’t possibly write a memories blog post if my day with the 488 wasn’t memorable. At the same time, even in a city where there are literally hundreds of these cars it still very much drew the attention of passersby, confirming my suspicions that the car is indeed suitable for those who want to be seen. 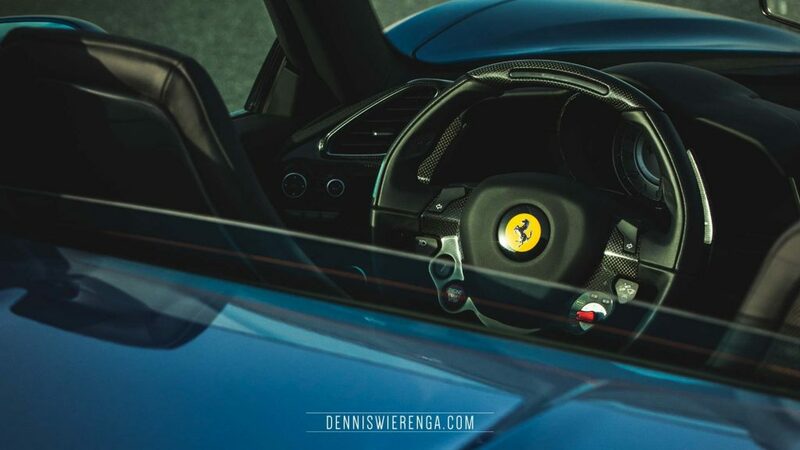 While Dennis has driven plenty of cars since, his latest being the Porsche 911 Carrera, I haven’t had the time to team up with him since and share the experiences. So all that’s left for me is memories. Memories of a dream I thought I didn’t have, but now I do and I can’t wait to fulfill it, again.